We cater for gatherings and events. We love to cater for family celebrations, children's birthday parties, hen-do's and lunch parties. We also love to host parties and meetings in our premises. We frequently serve cold buffets, finger buffets, business lunches and afternoon teas for family gatherings. Typical menus include filled sandwiches, quiches, hearty salads, our infamous sausage rolls, cakes and tray-bakes. 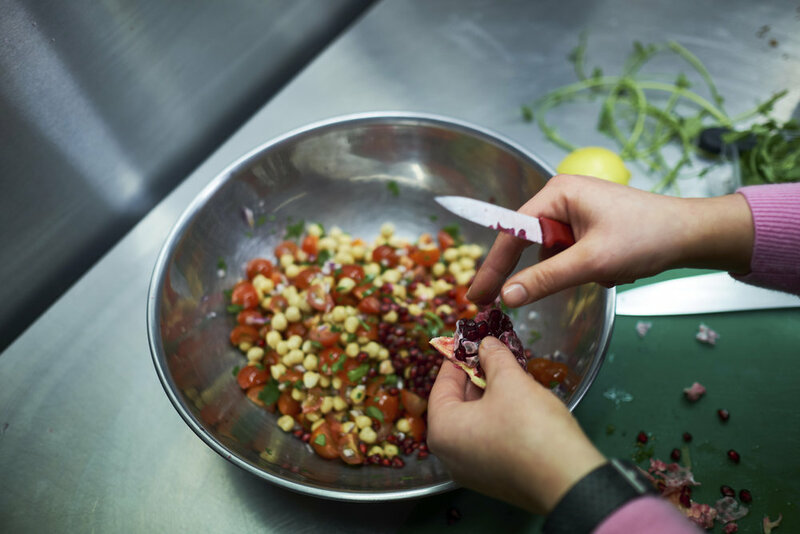 Milly's Kitchen can be be hired out in full for gatherings up to 50 people, or for more intimate events our mezzanine floor suits groups up to 20 people. Please contact us to discuss your requirements, we are very accommodating to dietary preferences with vegan, dairy free and gluten free options galore. If you would like to purchase a whole cake or quiche, please give us 24 hours notice.